Energy healing facilitates the release of energetic, physical and emotional blockages that are restricting the flow of your vital force which is essential for having perfect physical and emotional well-being, living a healthy, balanced, and peaceful life, as well as living an abundant life. Through the twenty-five principles of the TJS Evolutionary Method: ALARM™ and Tony’s hands-on integrated healing that from the first session you will gain insights on how to heal the root cause of your problems and gain a deeper understanding of the relationship between your Chakras and the body, thus being able to break through the root cause of the issue you may be experiencing. Working with Tony you gain lifelong tools that you can use daily to help you on your healing journey as well as building a life that deep down you desire and know you deserve. Various healing modalities that Tony uses can help reach deep into the energy field of your chakras and subconscious body to allow the release of blocked energy, stress, pain, and activate your body’s healing abilities which can bring your body to its natural state of flow. At the end of this experience, you will feel relaxed, empowered, radiant, energised, and it will positively impact all aspects of your life. Whatever your issue may be, Tony’s years of training, experience, and wealth of knowledge can support you restore and harmonies your body and mind with the wisdom required for your energy to flow freely in your body. Tony is trained in many forms of healing including Reiki, Reconnective Healing, Hands of Light, Prana, and Martin Brofman’s Body Mirror System of Healing (BMS). Body Mirror System of Healing how does it work? Physical or emotional problems cause blockages in the human energy field disrupting the natural flow of energy around the body. Rather than treating the symptoms, energy healing treats the individual as a whole looking at the root causes of the problem often found deep within a person’s psyche. If you wish to release a symptom, it is important to release the stress that created the symptom by harmonising the parts of your life that have not been working well. The Body Mirror System of Healing created by Martin Brofman provides the means to identify the specific tensions creating the symptoms in question, as well as the tools to release these symptoms. When this is done, resolving the tensions in your consciousness about what was not working well in your life allows you to release the inner cause of the symptoms. It is then possible for your body and your consciousness to return to their natural state of balance, and for you to return to the way of being that works best for you. No physical manipulation is involved in the applied techniques – only a light touch, if any when it does not conflict with someone’s philosophies or sensitivities. Energy Healing works only to the extent that you are truly open and ready to receive the energy and use it to heal your physical, mental, and/or emotional issues. The cellular intelligence of your body will use the energy to heal physical issues. The nurturing beliefs of your mind will allow the energy to heal mental issues. The wisdom of your emotions will allow the energy to heal emotional issues. You will heal to the extent that you embrace healing energy. You will not heal to the extent you resist it. Your Higher Self actually directs the energy to where it is needed and can most be accepted at any moment. Energy Healing is very sensitive to what you want – what you really want – as communicated by your consistent actions, thoughts, and emotions. If you can not/do not act, think, and feel in healthy ways, Traditional Medicine becomes a better choice for you. 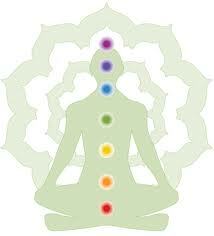 The word Spiritual originates from the Latin ‘spiritus’ meaning ‘breath of life’. Healing can be defined as regaining balance of mind, body and/or emotions. Spiritual Healing is a natural energy therapy that complements conventional medicine by treating the whole person – mind, body and spirit. Healers are thought to act as a conduit for healing energy, the benefits of which can be felt on many levels, including the physical. Physical, mental, emotional, money problems, divorce, addictions, bereavement, grief, stress, anxiety, phobias, fears, migraines, headaches, period pains, infertility, relationship issues, for a more comprehensive list please click here. The power of Energy Healing comes from the early identification of disruptions and disturbances at the level of energy BEFORE they can manifest in diseases and disorders at the level of matter. This gives you advance notice of problems and precious time to heal your issues before they can create serious illness. For only by healing your issues can you bring your life into balance and achieve vibrant health. 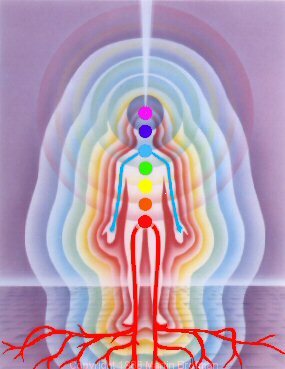 Energy Healing helps by boosting your energy field with the life force present in universal energy. Usually, Energy Healing is performed by a practitioner skilled in channelling the flow of universal energy into the fields of others. It is the energy which brings gentle balance to your body, mind, and emotions. It is not the practitioner’s energy which does this: it is universal energy at work. It is your willingness to receive and integrate universal energy that creates the healing. Energy Healing with Tony is a holistic method of treatment comprising of different techniques and you will be asked to think about what you hope to accomplish, not only with energy healing but in your life in general. You may want to consider what is preventing you from achieving your goals. Are there any physical, mental or emotional problems you hope to overcome? Do you have any spiritual questions you wish to ask? Before your appointment, take some notes about what you wish to heal and any concerns. You may want to begin this task a few days beforehand. If feasible, Tony recommends taking a bath or shower as shortly before the session as possible. Energy Healing is a cleansing process of the body, mind and spirit and you can begin this with taking care of your body. Start to focus on the goals for your first energy healing session, perhaps through meditation or taking time out from your day-to-day routine. Don’t drink any alcohol, drugs or smoke. Avoid any activity that requires too much exertion and wear loose, comfortable clothing. Allow plenty of time to get to your appointment; hurrying will affect your physical and mental well-being and be detrimental to the effects of energy healing. Your initial appointment with Tony J. Selimi last two hours, this is an essential process before any healing with him can begin. The first hour is spent discussing the issues you have, how best to address them with energy healing and help you gain clarity how integrated healing can support you to address the root cause of your problem. You can remain seated during the healing therapy but certain techniques may require you to be lying down on a treatment couch. You are required to remove items of jewellery (metallic objects can interfere with the human energy field) but you will not need to undress during your session. Although Tony is trained BMS healer, he also combines other healing modalities such as Reiki, Reconnective Healing, Prana Healing, The Sylva Method, Breath Work, Guided Meditation, TJS Evolutionary Healing Method®, Hands of Light and a variety of other hands-on techniques which involves placing his hands gently on, or just above, areas of the body. This energy work is done in phases and people typically experience some physical and emotional release during this stage. The two-hour sessions also involve some guidance and reflection. Energy healing can be used as part of your daily routine and the two-hour sessions are designed to give you advice on energy and mental exercises, and lifestyle changes. The energy healing experience differs from one person to the next but most would agree that energy healing is deeply relaxing and peaceful. You may experience physical or emotional changes after your session. These changes may even feel intense; however, they are a sign of energy beginning to flow freely around your body again. Give yourself time to rest, and drink plenty of water to flush out any toxins that have been released. Energy healing is a safe, non-invasive and gentle alternative therapy that can work alongside other therapies as well as conventional medicine. It’s up to you to first consult with your GP about any problems or concerns you have as they are trained to recognise what can and cannot be treated with an alternative approach such as energy healing. As a trained BMS healer, Tony believes anything can be healed, the only prerequisite is for you to want to be healed, focus your time, money and energy to do the inner work required to support your healing, implement the actions needed to activate your body’s healing capabilities, and be mentally, physically, and emotionally ready to let go of the energy that caused the imbalance in the first place. Some conditions to mention by way of example: migraines, stress, headaches, period pains, long and short-term back pain, headache problems, stiff joints, reoccurring injuries, neural problems, muscle problems, stress, anxiety, etc. In person in Pimlico-London, some clients prefer to do this in their own space/country, additional travel costs will apply. All sessions are also offered via Skype or distant healing! Energy healing sessions are generally 60 or 120 minutes, although to start your healing journey with Tony you are required to have an initial two hour (120 minutes) consultation. This includes a discussion about your personal circumstances and together with Tony, you can use his feedback to create a personal customised healing/coaching plan to help you get where you see yourself being. The techniques Tony might recommend can also add to your treatment time, so it is recommended to always book two-hour sessions to maximise your healing journey and include coaching and Tony’s feedback as part of your integrated healing journey. You may find that you feel the benefits of energy healing from your first treatment but you may want to attend more sessions to fully explore all the techniques available to you and start you on a journey of deeper inner discovery, great health and inner peace. Initial two hours integrated healing consultation with Tony costs £1000 + VAT (£500 for one-hour hands-on healing and £500 for one hour Coaching Consultation, you save £2000+VAT as Tony normally charges £1500/h +VAT for his integrated coaching consultation). Tony has kept the healing prices lower than his high-end coaching sessions to help people on a healing journey to have access to his unique integrated healing services. If you would like to experience the peace, the harmony and the unconditional love that lies within you here are two easy ways to book your session. Follow up one hour Reiki, BMS, Chakra rebalancing, and hands-on TJS healing session lasting 60 minutes, healing your energy system costing £500 (Cash Only). Please note in all of the one-hour healing sessions there is no client feedback. You come in, in the first 5 minutes you get ready, next 50 minutes you get healing, and in the last 5 minutes you get ready and leave. Integrated two-hour bioenergy healing with the TJS Evolutionary Method: ALARM™ Clarity Coaching session is what most of Tony’s client’s book. In this session, you get the opportunity to get feedback, Tony’s expert knowledge to assist you to get to the root cause of your issue. They are designed to transfer knowledge, tools, and take you on a deeper self-discovery journey. You learn many techniques Tony uses to use your own pace in order to bring balance to your life, inner peace and self-love. These two-hour sessions enable you to continue to do the work on your physical, emotional and spiritual healing and also assist you to balance the eight key areas of your life. £1000 Cash or £1000 +VAT bank transfer. These sessions are designed for clients who are ready to go on a self-discovery journey required to heal the physical, emotional and spiritual pain in order to bring balance in all of the key areas of life. This is for clients who are ready to commit mentally, emotionally, financially, and with their hearts to work with Tony and take advantage of his wealth of wisdom. In the two hour sessions, you start to learn how to use TJS Evolutionary Method® to unleash the true healing powers of your body, mind, heart and spirit. It is the recommended choice for those suffering from long-term pain, find themselves in undesirable situations, and are ready to go from average to extraordinary. Each session is designed in a way to maximise your healing journey. The two-hour sessions and include 45 minutes of integrated coaching, 60 minutes treatment, and 15 minutes of feedback after the treatment. A 10% discount is available when paying in advance for a block of 12 healing sessions, or 20% discount for a block of 24 healing sessions. Please note that for different therapies, prices can differ depending on the length of treatment and whether a combination of treatments is involved. To confirm your booking, all payments must be paid in advance and in full at time of booking or cash on the day. Disclaimer: Whilst many people have reported physical and/or emotional benefits from attending healing sessions, Tony does not promise or guarantee any particular result, it is not intended to be a substitute for medical treatment, or as an alternative to medical advice nor do I diagnose any symptoms. Those privileges are reserved for members of the medical profession. You are advised to consult a qualified health practitioner before adopting any of the suggestions or purchasing any products mentioned.